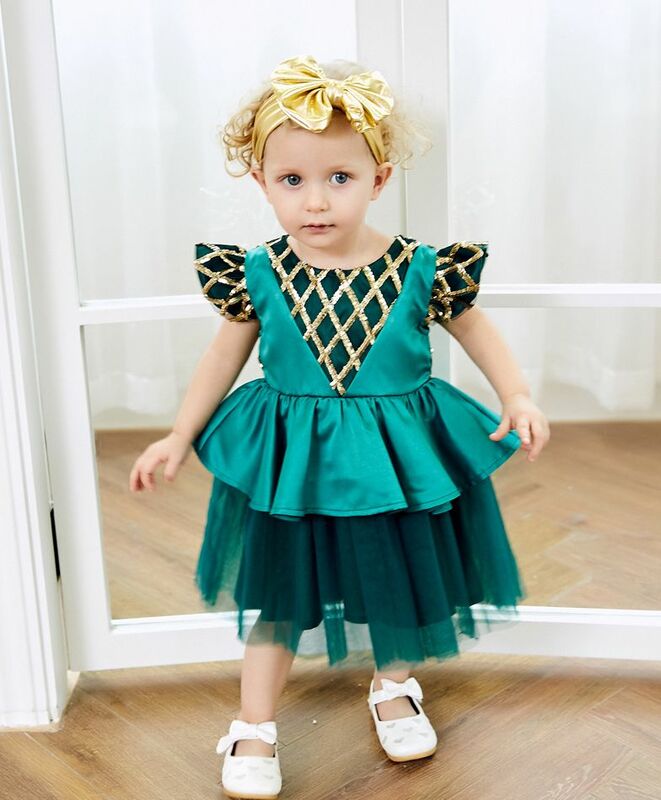 Dress up your little one in this comfy cap sleeves party dress from the house of Awabox. This dress features round neck with back zipper closure for easy dressing. Your little one is sure to stay comfortable all day long in this cute outfit. Styling Tip: Mix n match this outfit with matching booties and cap to complete the look.